As a thank you to all of our friends and family who have had such a positive influence on our lives, we will be holding our wedding reception on Sunday July 19th, 2009 at Lavender Crest Winery in Colona, Illinois from 1:00pm to 5:00pm (CST). The reception will include drinks, dinner, and dancing (sorry, no chicken dance). 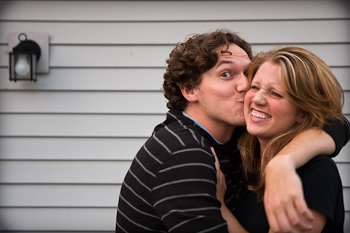 We hope that by having the reception close to Becky’s hometown of Port Byron, Illinois, that all of our family and friends will be able to join us in the celebration of our marriage! 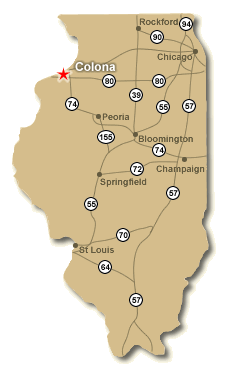 Colona, Illinois is located just off of I-80, about 10 minutes away from the Quad Cities (where there should be plenty of accommodations if you’re traveling in from out of town). Unless you want to miss out on all the food and fun, you’ll need some driving directions...just enter your starting address, and Google Maps will do the rest!